What's the classic mentor workflow? There are a few tools you'll need to know in order to become a mentor. 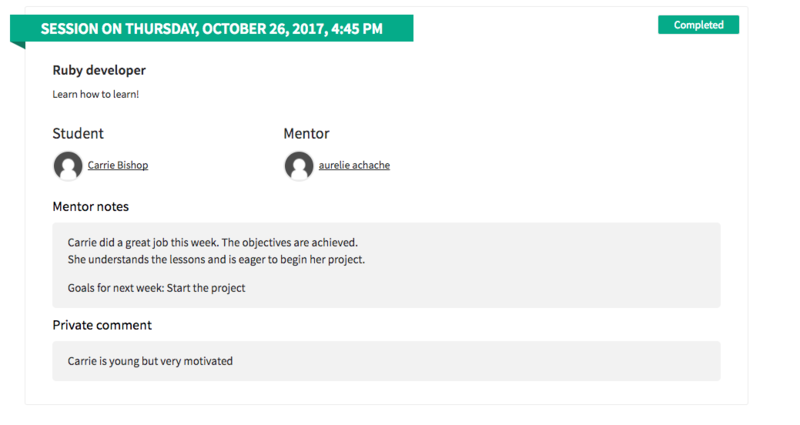 On the next page, you can find information about your planned mentoring sessions (obviously, you won't have any when you first start). How many students can you mentor? For example, if you have 10 hours available to mentor each week, in theory you can mentor ten students. Keeping track of your availability? If you have decided you can mentor a maximum of 10 students, and you already have 9 students signed up, then the system will automatically update your availability. Would you like to mentor student with with disabilities? In this case, it's recommended that you have experience, and that you should be prepared to change your methodology to accommodate students who are blind, deaf, hard of hearing, etc. For which projects are you capable of offering support? Indicate the names of all the projects for which you think you are qualified to mentor. Once these fields are filled in, we can then assign you your first student. They will then appear directly in your mentor profile. You will have access to your student's dashboard by clicking on their name, their course and the path they are currently following. Via this dashboard you can make an schedule a session time with your student. You can see your upcoming sessions, the history of all your sessions and any session that has no action. It is obligatory to assign a status to all sessions. You will then complete and give a status to the current session or a session that has just ended. After each session, you are required to write a note on the progress of the student (objectives achieved or not, objectives for the following week, particular obstacles, additional information ...) These notes allow you to follow the progress of the student, so please be thorough. 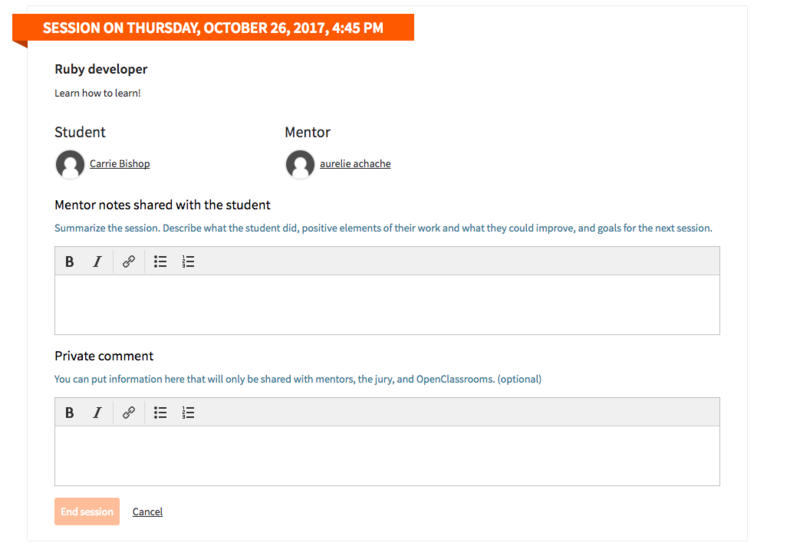 You can also add an optional "private comment" to the OpenClassrooms pedagogical team or other mentors. 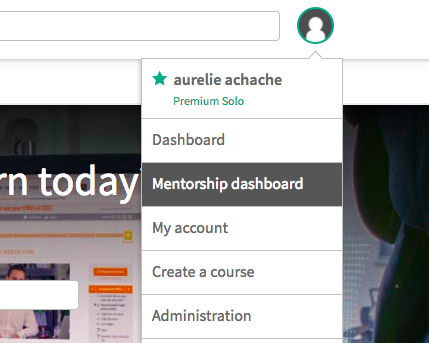 You can synchronize your calendar with your mentor profile. To do this, go to your dashboard and copy the link, then copy this URL into your application. We use Workplace, a version of Facebook for schools and businesses for students and mentors to talk amongst themselves in public groups, and mentors have their own private groups as well. You'll receive an invitation to sign up, once you have been activated. You can use Workplace to communicate with your students, chat with them, and even do your video call sessions if you like. We'll send you an invitation via the email address you've given us. On Workplace, discussions are organized by group. Make sure to join the “Mentors” group! Check out other active groups to find ones that are relevant for you and to find out what students are talking about. 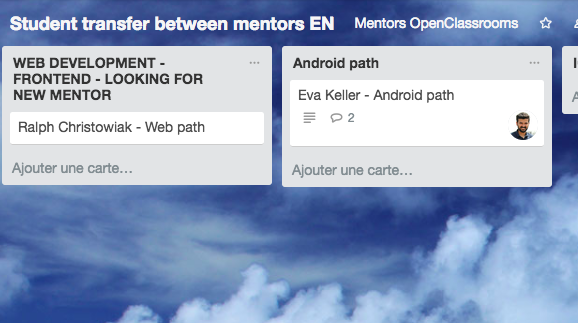 We also use Mentors group to send mentors announcements (tool and program updates, processes to follow, meeting invitations or invitations to Mentor happy hours🍸 ...), so make sure to check it regularly (at least once a week)! Trello is another very important mentor tool. If you’re not already familiar with it, Trello is a way to organize information in a sort of Kanban style. There are columns with cards that contain information, and all of it is very intuitive. There are multiple Trello boards. Let’s check them out. 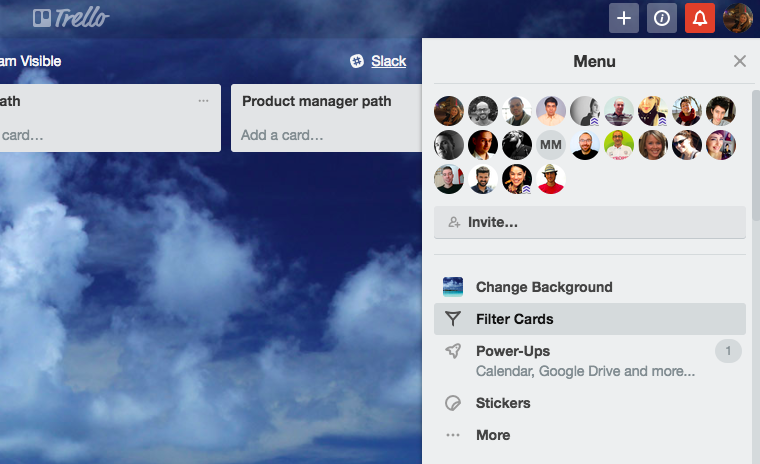 As a mentor, you will need to join Trello, so please accept the invitation and make sure your profile is up to date. The “Student transfer between mentors” board lets you communicate when you need to hand off a student to another mentor. Create a card here when you know you have a student who will need to change mentors (let us know at least 2 weeks before the end of a project) so that we can find the student a new mentor. A student should always have a mentor and weekly sessions. It’s very important for their learning. This means a student stays with you until another mentor officially takes them on. If no mentors indicate they're available to take on your student, let us know! When your students start a project, you should figure out a date when they’ll perform what’s called a project presentation, which will be conducted by another mentor (not you! :() This should happen even as early as the first or second mentoring session, and you should take into account a student’s pace and level. This lets students have a clearer idea of what they need to do and when. Try and set as certain of a date as possible! It’s crucial that you prepare your students for this presentation. Often, presentations stress students out. You’ll want to make sure your student is prepared as much as possible for the presentation, which will automatically help them feel more relaxed. Presentations last around 30 minutes and must be recorded because they are given to the jury at the end of the student’s path. This means students should behave as professionally as possible. Both the mentor and the student should be in well-lit areas on good internet connections with the image quality as high as possible. Consider using a good microphone as well, like your headphone microphone instead of the built-in microphone on your computer. The project presentation allows students to come face-to-face with their work and really analyze how they did. Nonetheless, despite the pressure, don’t let your student internalize a feeling of doom or fear of failure. We have one saying at OpenClassrooms: "It's OK to fail" 👍 ! The presentation date shouldn't be changed. In the professional world, it's important to respect deadlines, so the earlier the students learn this, the better. How should I find this second mentor, the assessor? Create a card on the “Project presentations” Trello board 2-3 weeks before the date you’ve agreed with your student. 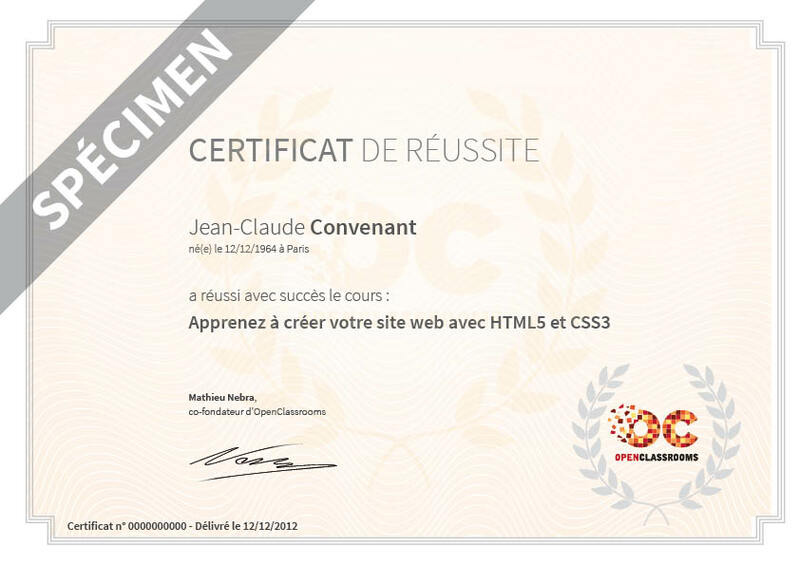 Complementary information like the link to the project, the deliverables, or the student’s availability for example. You can fill this out in the description field of each card. Yourself, as a member of the card. This way the second mentor will know who to contact. The date you and the student set for the project presentation. You can indicate this in the “Deadline” field of the card. Once the card is ready, drag it over to the “Project Presentation Candidate” column. A mentor lead will confirm that the student’s profile contains all the necessary information before assigning a mentor for the project presentation. If there are elements missing from their profile, your card will be moved to the “ Profile to be updated” column. Bring the student’s profile up to date and move the card back to the “Project Presentation Candidate” column. If your student passes their presentation, congratulations! That’s great. 🎉 If you can keep working with them on the next project, that’s good news. If you can’t, create a card for the student on the “Student Transfer” Trello board. If your student doesn’t pass their presentation, check with the second mentor why. The student might have some adjustments to make to the project. They’ll simply redo the presentation with that same second mentor when they’re ready. Emily's from New York City and lives in Paris, France. She's a web developer (formerly at Kickstarter), teacher at OpenClassrooms, and more!